Heading into the NHL’s Olympic Break on February 8, the Nashville Predators were not in a comfortable spot in the standings and had plenty of work to do in order to reappear in the Stanley Cup Playoffs after missing it in 2013. Nashville sat at 12th in the Western Conference with a 25-23-10 record, four points out of a playoff spot. The team knew they had to come back from the break without any hiccups. Lucky for Nashville, they would return from the break with a five-game home-stand, tailor-made for a team to emerge as a playoff contender. The first game back from the break ended in a 3-2 win at home over the Tampa Bay Lightning to start their five-game home-stand, scoring three unanswered goals after going down 2-0 early in the first period. The thought was the second and third periods was how the Predators were going to play for most of the home stretch after shaking off the cobwebs in the first period. Nashville lost the remaining four games on the home-stand scoring just three goals total, losing to the Winnipeg Jets, Pittsburgh Penguins, St. Louis Blues and Columbus Blue Jackets. “If you’re asking me, in my opinion, we lost the playoffs right there,” said Poile. With 19 games remaining in the regular season, the Predators were sitting 8 points out of the final wild card spot. They finished the last games of the season with a 12-4-2 record, but were just three points shy of playoff birth. There were two games Nashville should have won, which if doing the simple match, would earn them a spot in the postseason. The second game of the post-Sochi home-stand against the Jets was a must-win. Unfortunately for the Predators, they ran into a hot goalie in Ondrej Pavelec, who stopped 39 shots in in a 3-1 win for Winnipeg. 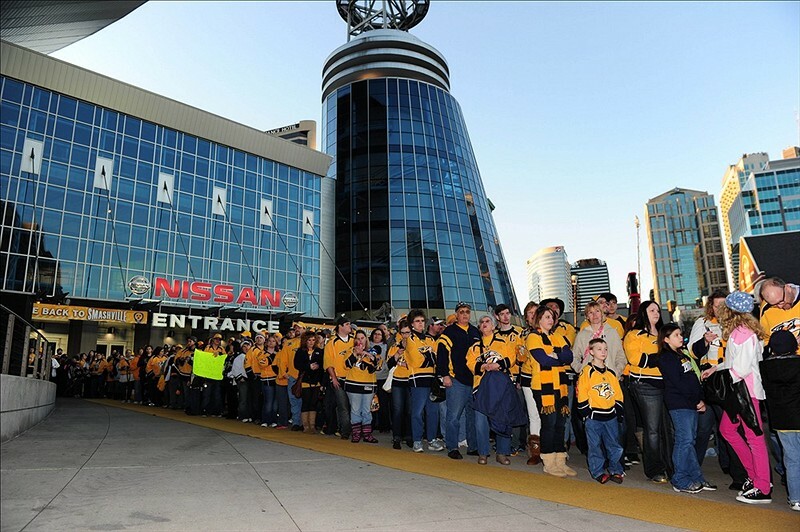 The other game that determined Nashville’s fate was the April 8 match against the Dallas Stars on the road. A loss in regulation, overtime or shootout would eliminate the Predators from playoff contention. After 65-minutes of action, both teams entered an all-important shootout. The hands of Tyler Seguin single-handily ended the Predators’ season in the fourth round of the shootout.